Springing with spring, even if it hasn’t quite sprung. As Vineyarders, we tend to take the first day of spring with a grain of salt. We recognize and welcome its March 20 arrival, but we know the drill. The sun’s passing over the celestial equator is just about as far out as it sounds. We know to keep our heavy jackets by the door, ice scrapers in the car, and space heaters on hand — we’ve still got weeks, maybe months to go. All of this being said, there’s a psychological switch we can’t ignore with the shifting of seasons. By the forces that define the equinox, winter came and went, and we’ve come out the other side — that’s something to celebrate. The season’s physical bloom is out of our control, but its psychological aspects are within reach. Mind over matter, right? Nothing screams a new season like a thorough cleanse, and aside from the garage, basement, and closets that could always use a once-over after winter, maybe it’s your body that most deserves some TLC. 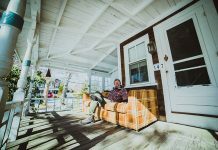 Three Island hubs caught up with the Times on ways they’re helping Vineyarders renovate, revamp, and rejuvenate this spring — despite what’s going on outside. Maybe it’s been a long time since you last broke a sweat. No judgment here. It’s hard to go to the gym when you have to dig your your car out of three feet of snow just to leave the driveway. It’s even harder to toss on the layers, lace up the sneakers, and consider a jog or bike ride in these conditions. 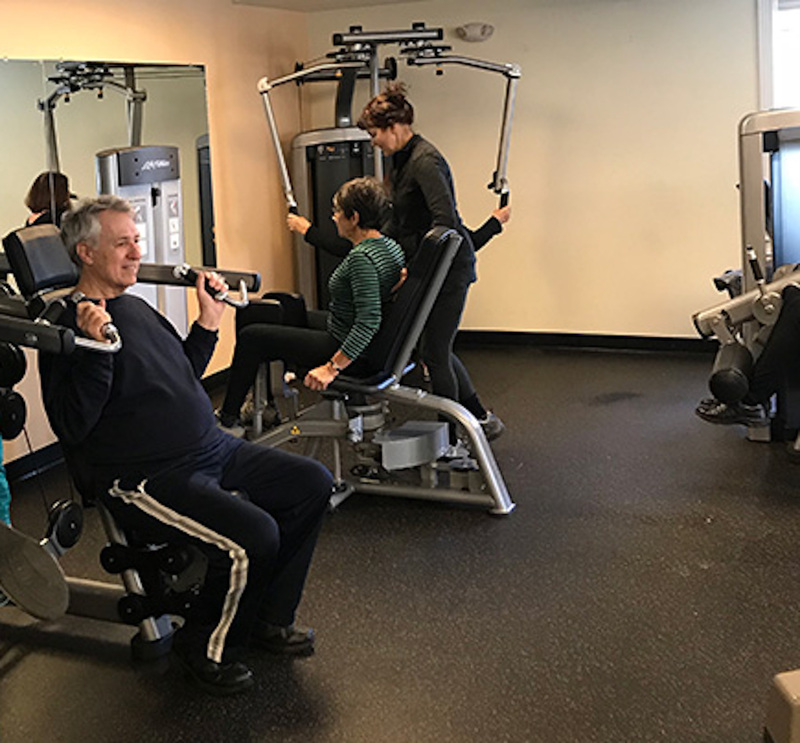 If you do make it to the gym, Brenda Wallis from the health club at Mansion House reminds us what’s going on at the year-round Vineyard Haven facility. Avid exerciser or not, there’s no denying the post-workout satisfaction of exercised muscles. Wallis recently completed the Exhale Barre Certification Program in New York City, and learned from some of the best in the barre biz. Barre combines elements of Pilates, dance, yoga, and functional training, and is an exercise fad that’s swept the nation. She teaches two classes per week, and is planning to add more in the coming months. If you are an independent exerciser, Wallis said the facility has top-of-the-line Life Fitness and TechnoGym strength and cardio equipment, as well free weights, squat racks, and cable cross machines. There are also personal training and one-on-one fitness programs to suit everybody’s needs. There’s nothing like a blazing sun to quiet the mind, close the eyes, and bring the mind to a healthy stillness. Without summer’s rays, we need something else to call in the calm that nurtures our busy brains. Lora Ksieniewicz, owner of Yoga on the Vine in Edgartown, is hosting a four-week Insight Meditation Series. The first sessions were March 18 and 25, and there are two remaining — April 1 and 8. Though Ksieniewicz recommends attending them all, as they are meant to set the foundation for a consistent meditation practice, it is OK to start midstream to get a taste of how meditation might benefit your life. According to Ksieniewicz, meditation is proven to reduce stress and anxiety, improve concentration and sleep patterns, benefit the heart and immune system, and improve the overall quality of life. “In these complex times we live in, we may recognize meditation as something helpful but ‘out there.’ We’re not sure where to begin, or how. This program is designed to support an exploration of meditation as a practice, a touchstone, and a tool,” she said. Ksieniewicz has studied Vipassana (insight) meditation intensively since 1995, and has completed 10- to 12-day silent retreats all over the world. She lived at the Burmese monastery in Bodh Gaya, India, studying Buddhism both academically and as a practitioner. She has studied under some of Buddhism’s most notable teachers, including Munindra-ji and Christopher Titmuss. Each session will include a brief introduction, a Q and A period, and meditation. Classes go from 6 to 7 pm, and if you’re already a member of Yoga on the Vine, class cards may be used. For more information, email yogaonthevine@gmail.com, and to sign up, visit yogaonthevine.com. “Literary rejuvenation” aren’t two words that are commonly paired, but how good does it feel to get lost in a novel? It’s an escape. And when you’re finished, you re-enter reality with more to contribute to it. Fiction or nonfiction, a 100-page book is 100 pages of knowledge. The beauty of literature can be shared with author Holly Hodder Eger at the Hob Knob Inn, April 13 through 15. 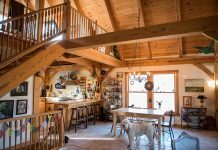 She, alongside innkeeper Diane Carr, invites women of all ages and backgrounds for a weekend of rejuvenation, Island appreciation, and a calling of creative energy. Hodder Eger is the author of a novel called “Split Rock,” which tells the story of a woman and her journey to the self during a summer on Martha’s Vineyard. It’s a walk from Lambert’s Cove Beach, and has become a literary pilgrimage since Hodder Eger published her novel in 2016. The Hob Knob weekend will include a hike to the chipped rock, a trek to the Aquinnah Cliffs, and writing prompts and teatimes to keep the mind on its toes. 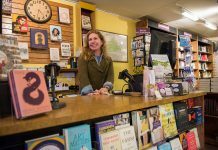 Hodder Eger said she was inspired to write her novel after a prompt pitched by Island writing coach Nancy Aronie during a writers’ group session more than 10 years ago. Join Holly Hodder Eger for a weekend of meditative movement, farm-to-table food, and simple, informal reflection. Call 508-627-9510 for more information, or visit hobknob.com to sign up. Previous articleDomestic Disturbances: What to do about those to-do lists?